Christmas is nearly here, and it’s time to start thinking about presents. I personally think that homemade Christmas presents are the best, and if they’re edible, then that’s an added bonus! In the run-up to Christmas, I’m thinking about all the food I can cook for the festive season. 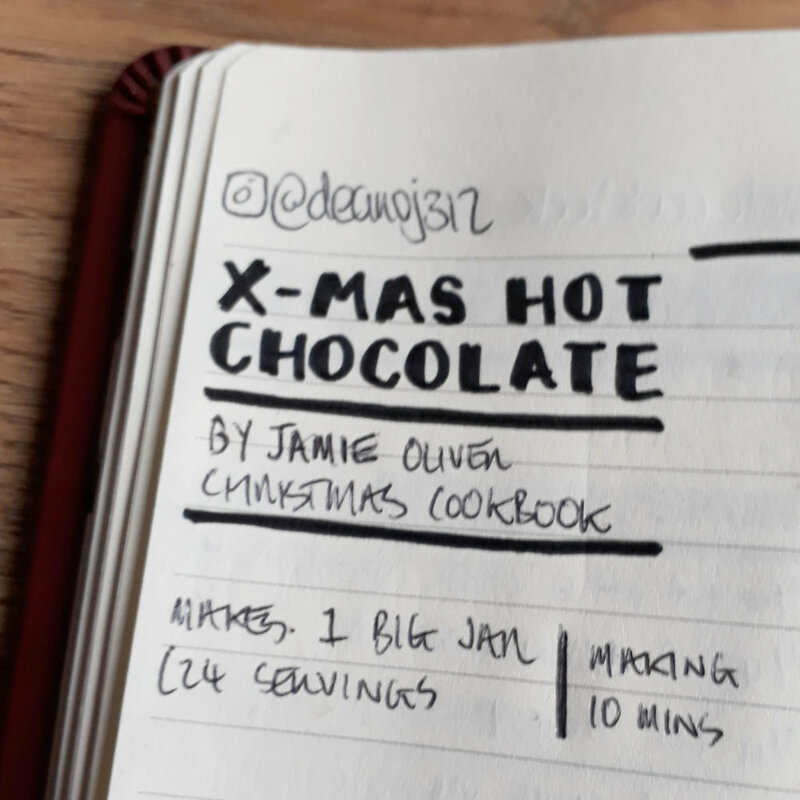 Since I started my #sketchnotecookbook, I am super excited to note down some of my favourite festive recipes, so stay tuned for more over the next couple of weeks! 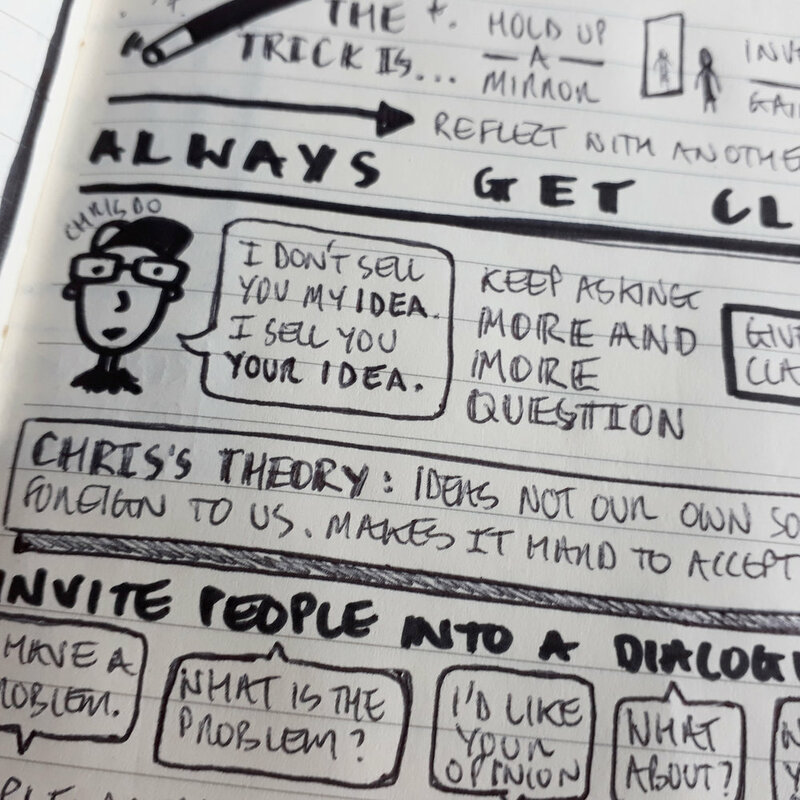 No recap notes this week, as I have too many festive #sketchnotecookbook entries to share with you all. But to keep all you non-foodie followers happy, this weeks #booknotes are the last of the business definitions from the start of this book. It’s time to emerge from the cocoon, working towards applying these concepts and definitions to your work. More edible Christmas presents! 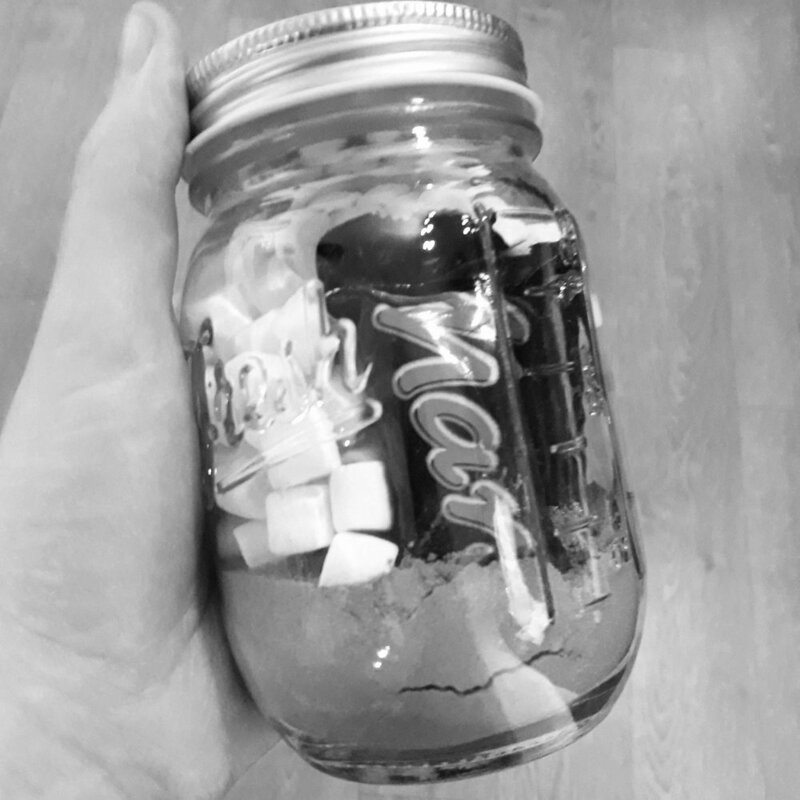 I made a double batch of this mixture, decanting it into jars, with some marshmallows and a couple of mini chocolate bars, creating this awesome stocking filler to give to visiting family and friends. 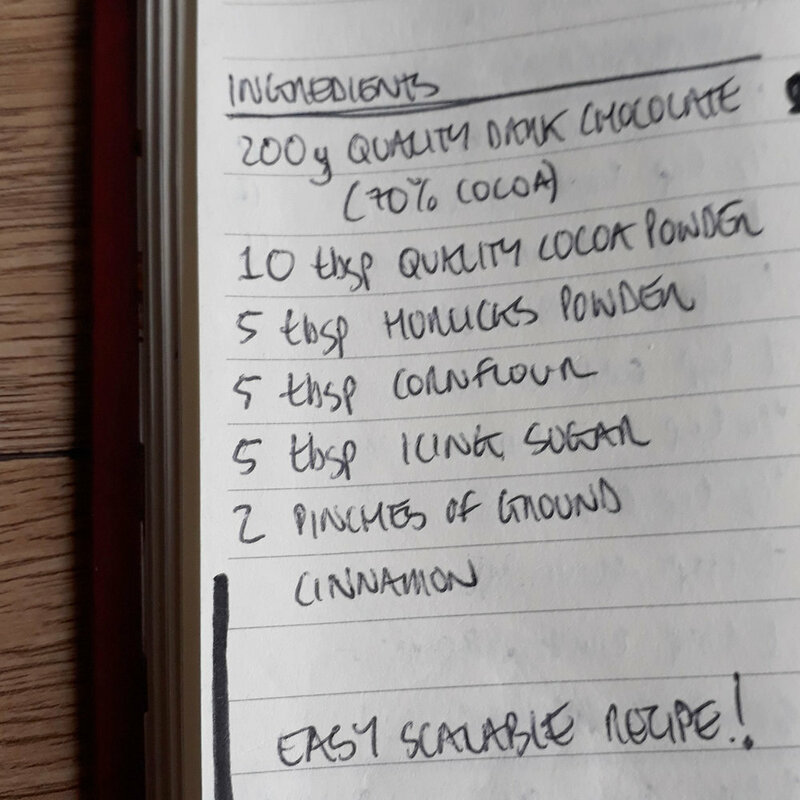 It was really easy to make, and actually has real chocolate in it, unlike most store-bought products. This is the real deal! Psst… You can always add a little Cointreau to finish off this festive hug in a mug. 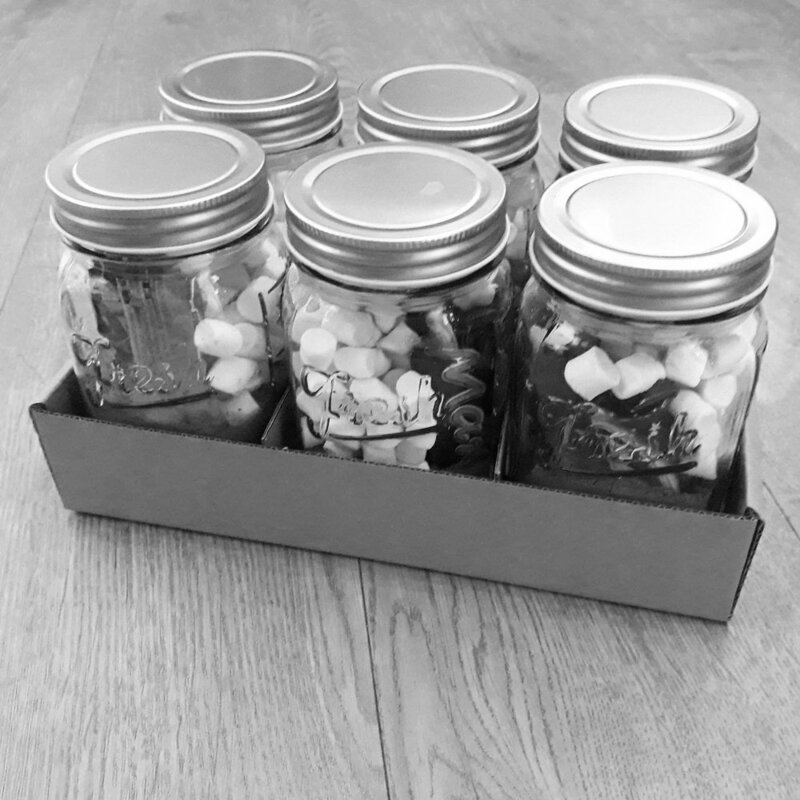 Just got to decorate the jars now. I managed to escape the festive preparations for an hour on a rainy Saturday morning to level-up with more content from Chris Do (The Futur). 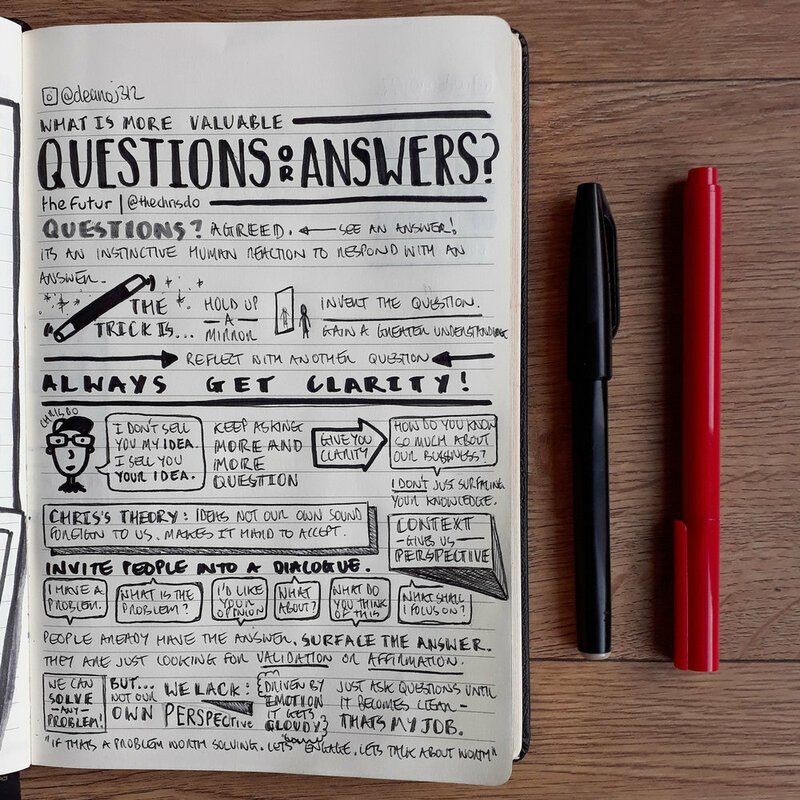 This technique empowers you to respond to ANY questions your clients may have, by asking questions until the solution or problem becomes clear. It is value-adding magic, and will turn you into a real problem-solving wizard. Also, we at NSC would like to wish a very Merry Christmas and a Happy New Year to the business and design gurus at The Futur. Thanks for all the inspiration and the final nudge of motivation to start #nudenotes and this website. We can’t wait to see what the next year brings. More #nudenotes on The Futur coming soon, so watch this space.